Summer is a great time of year, but can also increase the likelihood of certain types of plumbing problems. At Star Cities Plumbing, our experienced plumbers can help with all kinds of plumbing issues and are available 24/7 for plumbing emergencies. Here are three tips for summer plumbing that could help you avoid the need for service and also help save money on your water bill. A sewer line may be more likely to back up during the summer months. This can be attributed to spring and summer rain water seeping into the sewer line via cracks. Tree roots can also grow into a sewer line and clog it. Depending on the material it is made of, it might also crack it so it needs to be totally replaced. Having your sewer line scoped to see if there are any issues is one of the most important summer tips. Washing machines frequently get more use during the summer due to an increased amount of outdoor activities that can generate more dirty clothes. It is a good idea to inspect your machine’s hose to see if it has any leaks or cracks. Another one of our plumbing tips is to position your washing machine four inches from the wall to help avert hose kinking and damage. Many experts suggest replacing the hose every three years. Try to avoid leaving home while your washing machine is in use. If there is a problem, it can create a big mess very fast. If you go on vacation this summer, turn down your water heater while you are away. It will save energy and money. When you contact Star Cities Plumbing, we can provide more information on these three tips for summer plumbing and more. 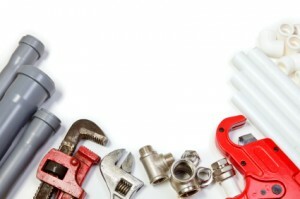 We’ll take care of any plumbing issues you may experience by providing prompt, reliable service. To schedule an appointment or learn more about the plumbing services we offer, please contact us at 800-547-1422.